How are Social Media channels holding your fans hostage and what can you do about it? 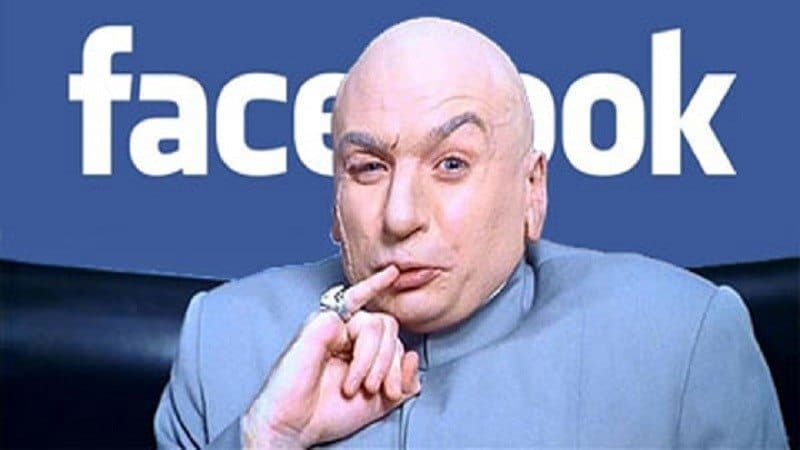 If you own your own dental practice and have created a Facebook page for it, you know what I mean when I say that you hardly reach all the people that have liked your page with your posts. I’ll use my Facebook page as an example. I currently have around 600+ Facebook likes for my page ‘The Creative Composite’ consisting of dentists and some friends. Now when I look at spending time create a compelling post to either help drive traffic to my website by announcing a new article or an offer on my Reviews Booster software, you would presume that as soon as I press the publish button, all the people who like and follow my page would see my post. If you ever check how many people your post will reach, you will notice it is usually 5-10% of all the people who like your page. Facebook as an algorithm that only displays the most popular posts on your timeline when you log into Facebook or the latest post shared by a page you like or your friend. Your fans are being restricted from seeing your posts. Facebook is a successful social media platform but even more so, a successful business. Facebook provides business users like yourself and me, the opportunity to ‘Boost’ posts to get a wider reach and also has its own ads to generate leads for your dental practice. Facebook ads and Boosts do work and my clients and I, pay them for the privilege of using their platform to reach larger audiences. They know this very well and you can reach all the people who like your page with a Facebook post, only if you pay them. This is how they have your loyal fans and followers kept hostage! You pay them and they will let them be free to see your posts. It is unfair and ridiculous but they are a business in a thriving capitalist world so they have every right to monopolise on the assets they hold. They can do and we will continue to pay. You have another weapon that can move you away from a hostage position and more towards control. And that secret weapon is your website and emails. I then looked for ways that will allow me to reach my audience without paying and I discovered that the answer was right under my nose all the time. When somebody subscribes on my website to my mailing list, they were giving me their consent to send out emails to them. I was contacting my fans on a direct basis, straight to their personal inbox. How cool is that! No restrictions, no payments, on my own platform that I control (website), by the push of a button I could contact them. But you have to ensure you follow the GDPR and CAN-SPAM guidelines which basically mean you have to gain their consent and only send out emails which they want to receive on the topics they want to read. It’s not that complicated. Now your website is your biggest asset. You get tons of traffic to your website and like most websites, not every visitor is ready to be a customer. They are either shopping around, planning their next purchase, curious or just not ready. Only a small number will actually get in touch to purchase. This doesn’t mean you just forget those visitors who are not ready to purchase. Instead, you provide them value and knowledge in return for their email address. By obtaining their consented email address, you then have a MASSIVE window of an opportunity to further build rapport with these website visitors and nurture them until they are ready to make a purchase. If you have noticed my website from a marketing point of view, you will notice that I have many so-called ‘trip wires’ on my website to capture website visitors email address even if they don’t use my marketing service. You’ve probably have triggered some popups whilst reading this! I have a newsletter, browser live notifications, pop up marketing course tripwire and many more. All strategically positioned on specific pages and triggered by a website users behaviour. Yes, I am baring it all! What If I told you that the software (SaaS) I use to capture website visitors email address is FREE! That’s right, it’s a free software which had pre-made templates for me to add text and images too and hey presto, instantly I have a tripwire in place. The software I use and have been using for the last 2 years is SumoMe. Their website is sumo.com. It’s a simple plugin that they provide which you upload to your website. Extremely easy if you have a WordPress website which 90% of dentists and business do. The plugin/software allows users to share your pages easily with social share icons, it even allows you to monitor how many website visitors you have had today or even I real time. It even allows you to see where people click with Heat Maps and how much of a website page the average person reads with Content Analytics. Allowing you to further optimise your website or more work for your website development guys (we love this type of work). For a paid feature, you get much more for example Live Chat feature on your website and even an autoresponder email that gets sent instantly to anyone who fills out your website forms. Email is the only way you can gain direct 24/7 access to your fans and it should be one of your websites biggest marketing priorities. As long as you gain consent which you can do with a (double opt-in) and provide email content which the subscriber would like to read, there is no reason why they would unsubscribe from your emails. Once you’ve built a healthy email subscriber list, you can also market to those email addresses on Facebook if you are running Facebook Ad campaigns, which we do for our clients. Start making email marketing your main marketing priorities immediately for your dental practice and start looking at recovering all that lost website traffic. Sign up to Sumo.com and begin playing with pop-ups, website notifications, live chat, contact forms and so much more to grow your email list now.